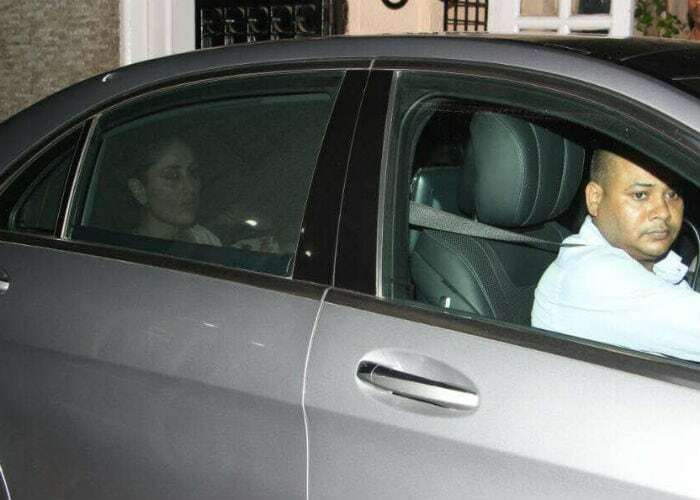 Kareena Kapoor and Saif Ali Khan's son Taimur was photographed in Mumbai's Bandra minus his parents on Thursday night. Taimur, six-months-old, is seen cradled in his nanny's arms. He looked absolutely adorable in a checked pjyama-shirt set. 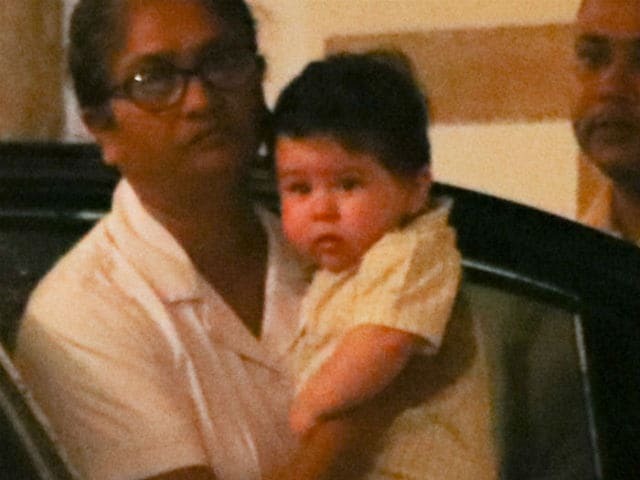 This is Taimur's fourth outing in one month. Earlier this month, Taimur Ali Khan was the star at Tusshar Kapoor's son Laksshya's first birthday party. He was colour-coordinated in blue with his mother. The duo happily waved to the cameras as they made their way to the venue. 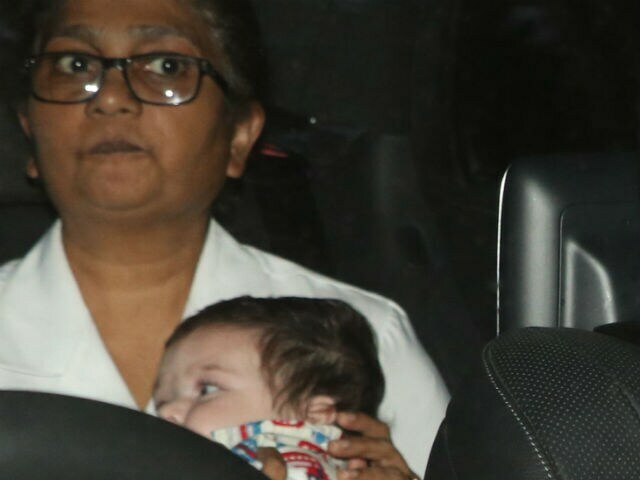 Taimur Ali Khan was born on December 20 last year in Mumbai's Breach Candy Hospital. Kareena Kapoor and Tusshar Kapoor have co-starred in the Golmaal series, Mujhe Kucch Kehna Hai and Jeena Sirf Merre Liye. 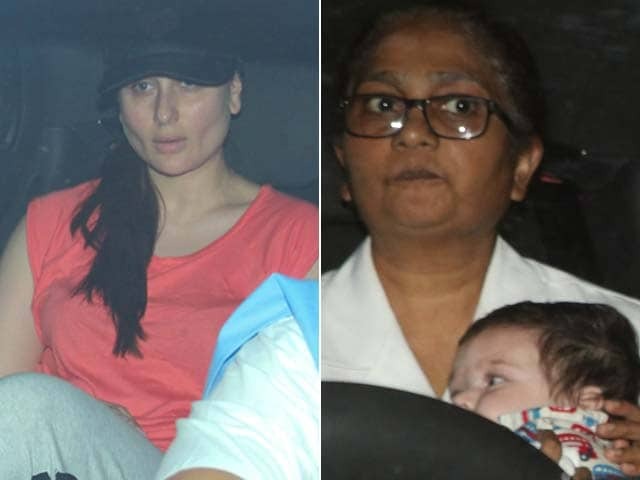 A couple of days ago, Kareena Kapoor Khan and her son Taimur were spotted at filmmaker Ekta Kapoor's residence in Bandra. Here are some more pictures of Taimur's outing. Meanwhile, Kareena Kapoor Khan is all set to make her comeback to the big screen. The 36-year-old actress will soon begin shooting for Shashanka Ghosh's Veere Di Wedding. Kareena has been working really hard to get back into shape post her pregnancy. She has often been spotted religiously working out at the gym along with her best friend Amrita Arora. 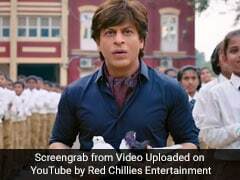 Veere Di Wedding also stars Sonam Kapoor and Swara Bhaskar in lead roles. Kareena Kapoor Khan was last seen in 2016 movie Udta Punjab along with Shahid Kapoor, Alia Bhatt and Diljit Dosanjh.